White Moon marble is a luxurious stone for the double slipper tub for a master suite retreat. Natural stone free standing, pedestal tubs are a great addition to a master bathroom remodel or new construction designed spa room. Solid, hand-carved artistry eccentuates the soft features of this tub. Also, take a look at our fireplace selection and our kitchen hoods. 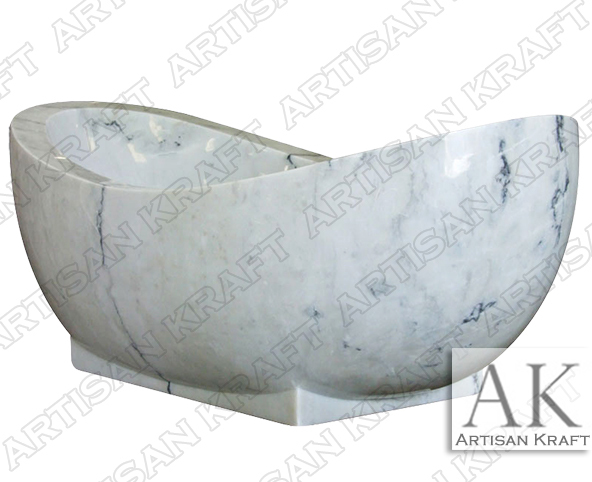 This white marble tub is for the customer looking for the ultimate in spa relaxation. Deliver across the US including NY, NJ and Texas.